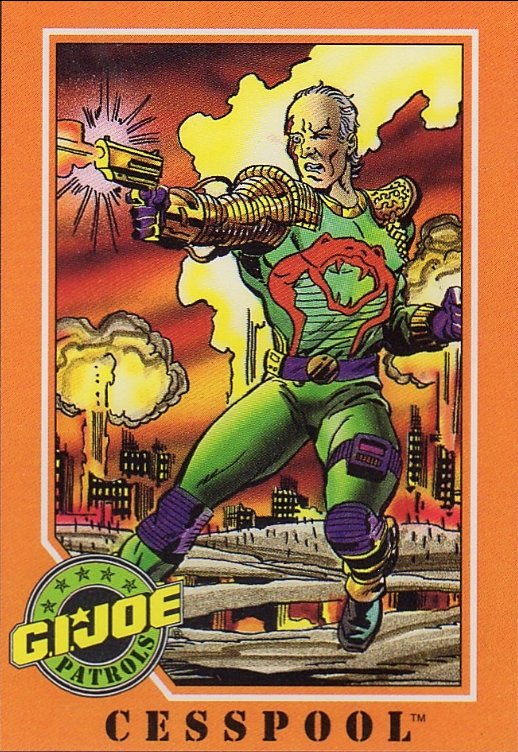 The first card is Cobra member Cesspool. The back of the cards represent a somewhat smaller version of the file cards on the back of the figure’s cards. 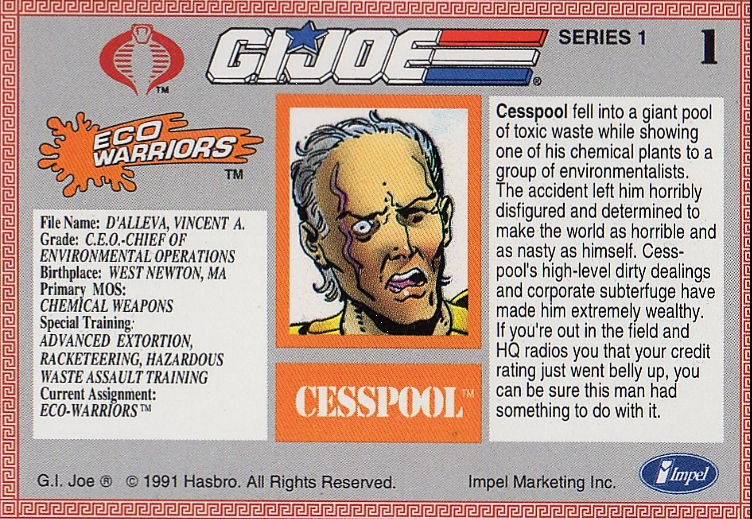 Notable here is that Cesspool’s file name is Vincent D’Alleva. 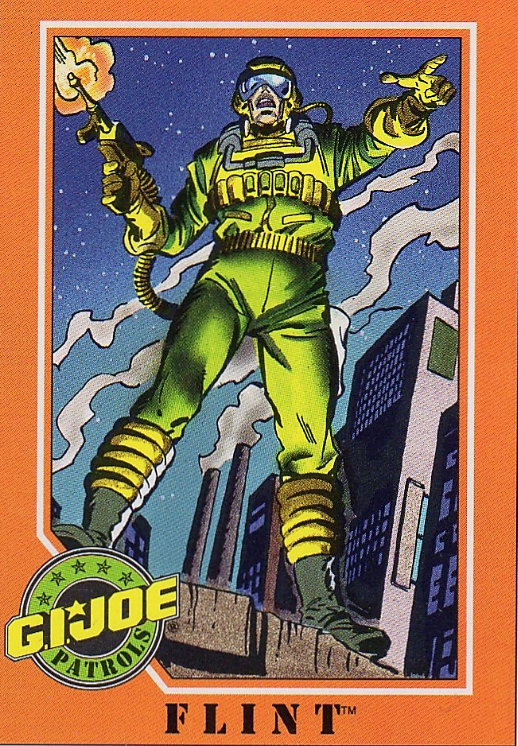 That was the name of the Hasbro Executive overlooking the G.I. Joe franchise. Not much love for the boss if you ask me. 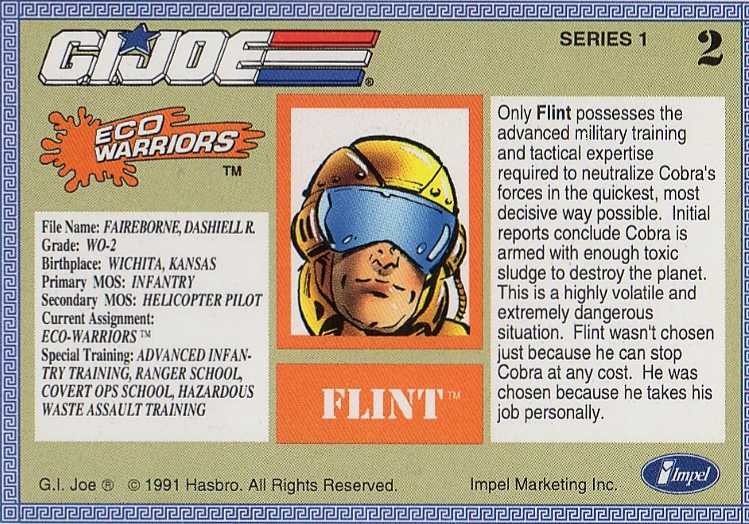 The Eco Warriors needed a leader and I guess Flint takes the job personally. I, personally, think he was suckered in. Again, the figure does not do justice to the card art. He does seem to be pointing one way and shooting the other, so probably shooting some Cobra’s and giving battle field instructions to the other Eco Warriors. 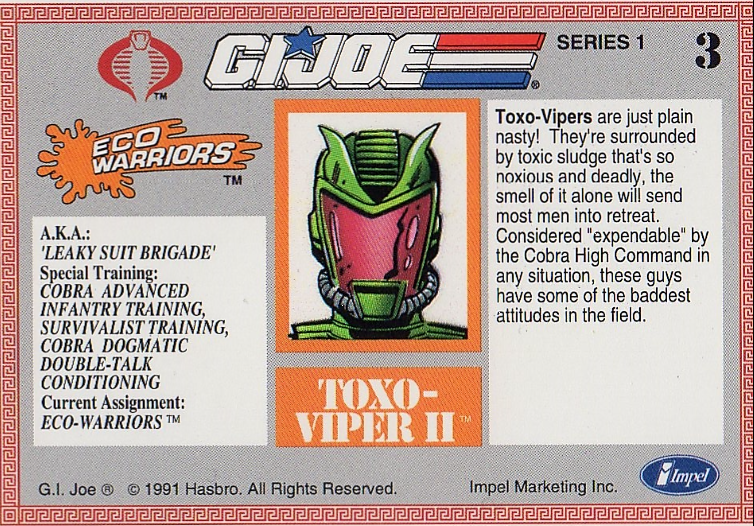 The final card for today is Toxo-Viper II. 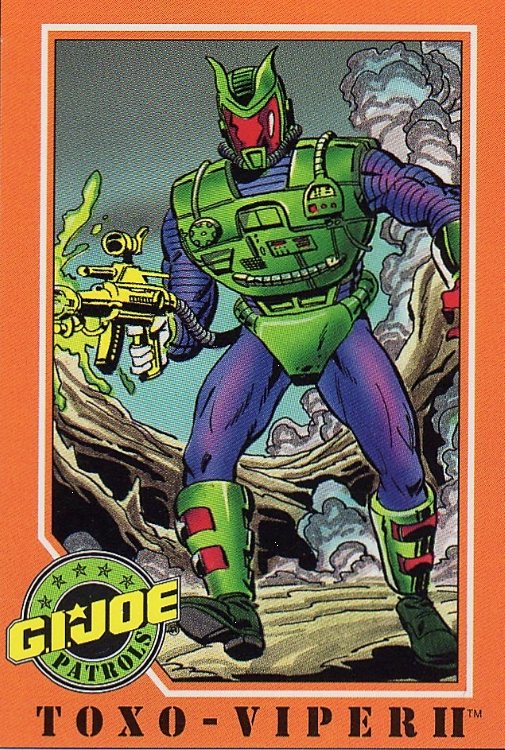 I must admit that the original 1988 Toxo-Viper (I guess they’ll be called Toxo-Viper I now), is one of my all-time favorite figures. I guess to me they have a Steampunk kinda vibe which I like. This 2.0 version doesn’t have the same impact on me. They are expendable for the Cobra High Command (leaky suit brigade anyone?) and I share that sentiment with CC. Feel free to link this page to friends and family, heck even to people you don’t really like. If you have suggestions or remarks, leave a comment below or tweet me @EuropeanJoes. DISCLAIMER All these cards are in my private collection and were scanned by myself. I don’t hold the rights on the card art or any text displayed on the cards.